Cloud Computing has become one of the most talked about technologies in recent times and has got lots of attention from media as well as analysts because it is offering lots of opportunities. Enterprises have been determined to reduce computing costs and for that reason most of them started using it in IT technology then adapted virtualization technology. Cloud computing has revolutionized the way computing and software services are delivered to the clients on demand. It offers users the ability to connect to computing resources and access IT managed services with a previously unknown level of ease. Thus, security concerns among users of the cloud have become a major barrier to the widespread growth of cloud computing. In this research work, we have used the 3 step security mechanism for the keeping the data secure at the cloud. We have implemented the strong authentication mechanism using md5 encrypted OTP and enhanced the security of data using Cloud Broker and RSA, Blowfish and AES. When you log on to your machine and then try to access a resource, say a file server or database, something needs to assure that your username and password are valid. With sensitive data stored in the cloud of the different users, we need a strong authentication mechanism along with OTP. Data breaches because of no/weak authentication. Afterwards we have verified the integrity of data stored at cloud provider using SHA2. Multiple parameters like processing time, processing cost, AES,RSA and blowfish encryption time, OTP generation and encryption time have been calculated and analyzed. We have been able to enhance the security by optimizing the processing time as well as processing cost. After implementing the proposed methodology, it has been summarized that the cloud security can be enhanced by applying the proposed mechanism. The proposed system has reduced the complexity, processing cost which increases the overall efficiency of the system. 1. Mohis M and Devipriya V S, "An improved approach for Enhancing Public Cloud Data Security through Steganographic Technique," IEEE, pp. 1-5, 2016. 2. Kunal V. Raipurkar and Anil V. Deorankar , "Improve Data Security in Cloud Environment by using LDAP and Two Way Encryption Algorithm," IEEE, pp. 1-4, 2016. 3. V.Swath, K.Sudha, R.Aruna, C.Sangeetha and R.Janani, "Providing Advanced Security Mechanism for Scalable Data Sharing In Cloud Storage," IEEE, pp. 1-6, 2016. 4. Shivangi Sengar and Rajesh Kumar Chakrawarti, "Implementation of PDS System with Improved Security and Transparency under Cloud Environment," IEEE, pp. 1-6, 2016. 5. 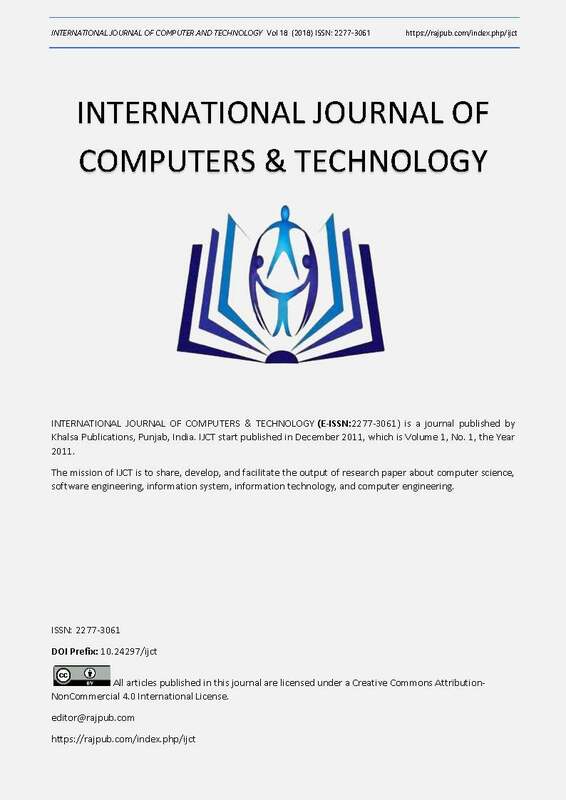 Mohis M and Devipriya V S, "An improved approach for Enhancing Public Cloud Data Security through Steganographic Technique," IEEE, 2016. 6. S. Pandey , A. Dwivedi , J. Pant and M. Lohani , "Security Enforcement using TRBAC in Cloud Computing," IEEE, pp. 1232-1238, 2016. 7. R.K.Shyamasundar, N.V.Narendra Kumar and Muttukrishnan Rajarajan, "Information-Flow Control for Building Security and Privacy Preserving Hybrid Clouds," IEEE, pp. 1410-1417, 2016. 8. P. More and D G Harkut, "Cloud Data Security using Attribute-based Key Aggregate Cryptosystem," IEEE, pp. 855-861, 2016. 9. D. Singh and Harsh K Verma, "A New Framework for Cloud Storage Confidentiality to Ensure Information Security," IEEE, 2016. 10. Kunal V. Raipurkar and Anil V. Deorankar , "Improve Data Security in Cloud Environment by using LDAP and Two Way Encryption Algorithm," IEEE, 2016. 11. S. Sengar and . R. K. Chakrawarti , "Implementation of PDS System with Improved Security and Transparency under Cloud Environment," IEEE, 2016. 12. A. Albugmi, M. O. Alassafi , . R. Walters and Gary Wills, "Data Security in Cloud Computing," IEEE, pp. 55-59, 2016. 13. A. Singh and M. Malhotra , "Hybrid Two-Tier Framework for Improved Security in Cloud Environment," IEEE, pp. 955-960, 2016. 14. Bin Feng, Xinzhu Ma, Cheng Guo, Hui Shi, Zhangjie Fu and Tie Qiu, "An Ef?cient Protocol with Bidirectional Veri?cation for Storage Security in Cloud Computing," IEEE, pp. 1-13, 2016. 15. Mrinal Kanti Sarkar and S. Kumar, "A Framework to Ensure Data Storage Security in Cloud Computing," IEEE, 2016. 16. N.Thillaiarasu and ChenthurPandian.S, "Enforcing Security and Privacy over Multi – Cloud Framework Using Assessment Techniques," IEEE, 2016. 17. R. R. Gupta, G. Mishra, S. Katara, A. Agarwal, M. K. Sarkar, R. Das and S. Kumar, "Data Storage Security in Cloud Computing Using Container Clustering," IEEE, 2016. 18. S.Petcy Carolin and M.Somasundaram, "Data Loss Protection And Data Security Using Agents For Cloud Environment," IEEE, pp. 1-5, 2016. 19. T. Mavroeidakos, A. Michalas and Dimitrios D. Vergados , "Security Architecture based on Defense in Depth for Cloud Computing Environment," IEEE, 2016. 20. Deepak H. Sharma, C A. Dhote and Manish M. Potey, "Intelligent Transparent Encryption-Decryption as Security-as-a-Service from Clouds," IEEE, pp. 359-362, 2016. 21. Deepak H. Sharma, C A. Dhote and Manish M. Potey, "Implementing Intrusion Management as Security-as-a-Service from Cloud," IEEE, pp. 363-366, 2016. 22. K. V. Raipurkar and A. V. Deorankar, "Improve Data Security in Cloud Environment by using LDAP and Two Way Encryption Algorithm," Symposium on Colossal Data Analysis and Networking (CDAN), IEEE, 2016.